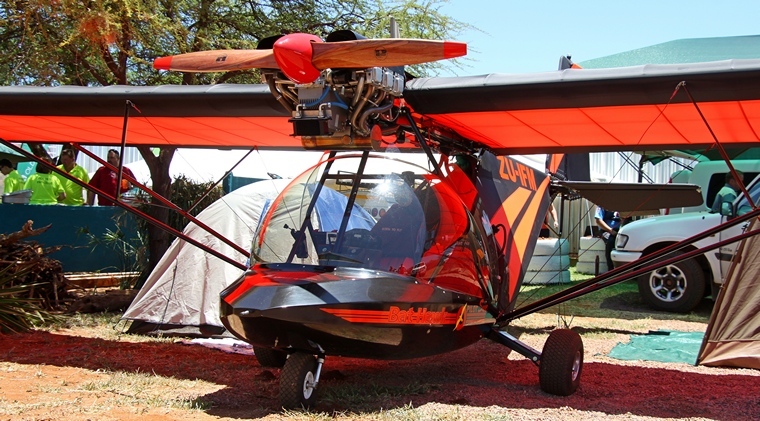 Now in its fourth year the Limpopo Flying Club annual fly in was held at the Club's base at Mokopane (Potgietersrus) airfield just outside the Bushveld town. The club was formed in 2004 and operated for a number of years before activities ceased. It was revived in 2011. In total the field has 10 hangars housing approximately 42 aircraft. 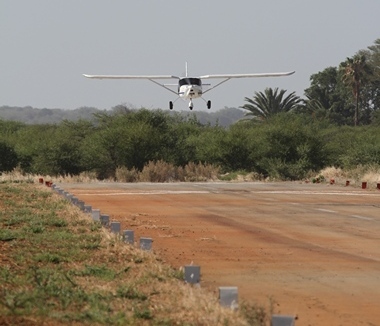 The field that has an 1800 meter tar runway is situated in the pristine Bushveld with a backdrop of the majestic Waterberg. Not licenced because the local council, to which the land belong, refuse to pay the required insurance required by law. Landing at the field is therefore at one's own risk. It is such a pity that most local authorities do not appreciate the economic benefits of general aviation and Mokopane is a prime example. Almost 100 aircraft visited on the day and 40% of the pilots and crews stayed in guest houses in town and had at least 3 meals during their stay. Aircraft had to be re-fuelled and other expenses were incurred bringing much needed revenue to local business. Besides the direct financial benefits the town received free publicity. It is not only local club members that use the field. 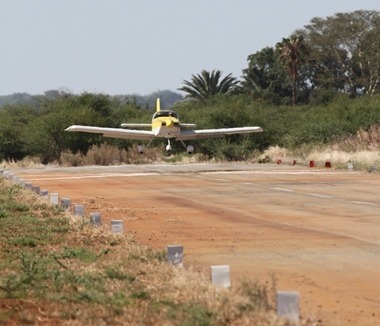 Mokopane is surrounded by numerous mines and game lodges and all types of aircraft, including business jets, regularly land at the field. The council however shows no interest in this potentially income generating asset. Despite its close proximity to town there is no water or electricity supply. Water is pumped from a borehole, the pumps run of generators belonging to the club. If not for the club the field, an asset of the council, would by now have been deserted and in ruins. 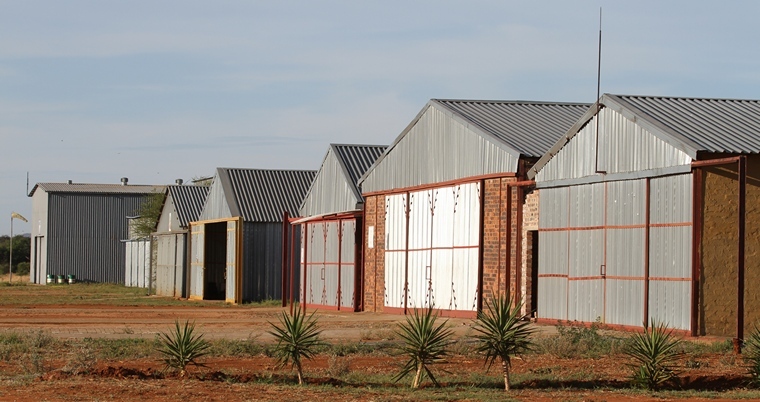 Aircraft owners erect their own hangars on land leased from the council. Besides the use of the field, which the club maintains at its own cost, the club derives no financial benefit from the field and events like the fly-in acts as a conduit to raise funds for maintenance and improvements. Early visitors were treated with typical Bushveld hospitality to a braai on Friday and hangar talk was the order of the day. On a sad note though Gary Gomez passed away whilst en-route to the fly in when his Gyrocopter crashed into trees in Randburg. RIP Gary. Our condolences to the family and friends. Aircraft started arriving early on Saturday morning. The mouth-watering aroma of a typical Bushveld breakfast filled the air. 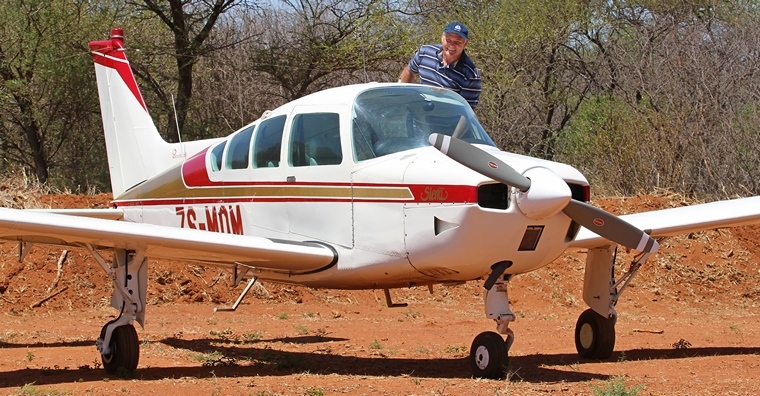 Heidelberg based Jodel owner Fanie Beuidenhout, who is currently on contract in Mokopane, acted as marshall and was kept quite busy. The weather was perfect, the wind on the nose. Unfortunately, unlike previous years when almost all visitors stayed over, this year about half only opted to stay, some camping at the field. Most manufacturers were represented with the majority of aircraft being NTC's (Non Type Certified). 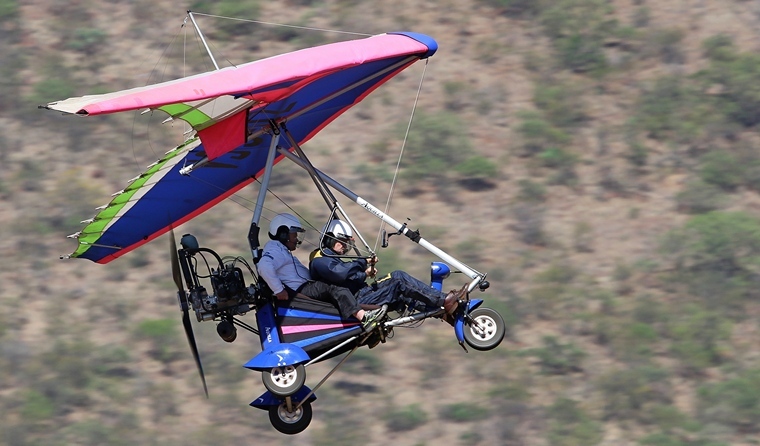 What made the Limpopo fly in special was the large number of weight shifts that flew in from Gauteng and beyond. Refreshment was on sale and breakfast available until almost midday. A constant flow of aircraft arriving and leaving kept interest high. Hangar talk was the order of the day and as the day progressed the stories got taller. 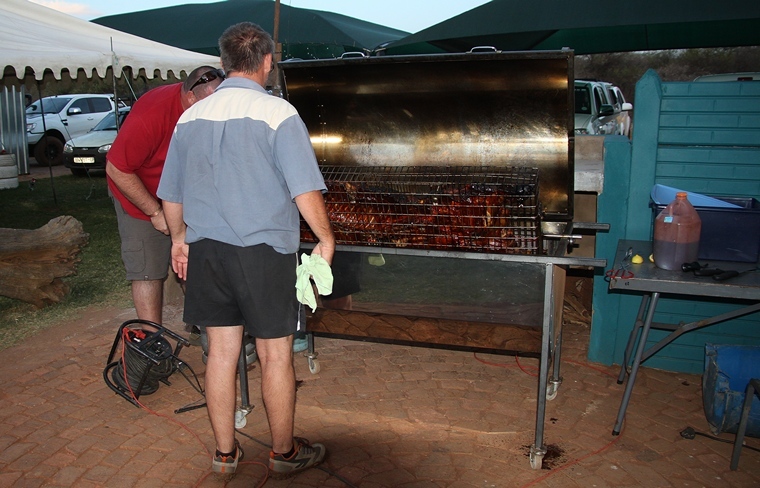 Those that opted to stay were treated to a spit braai consisting of Impala and Pork as well as some mouth-watering side dishes including desert was on the menu and for a while tucked in. 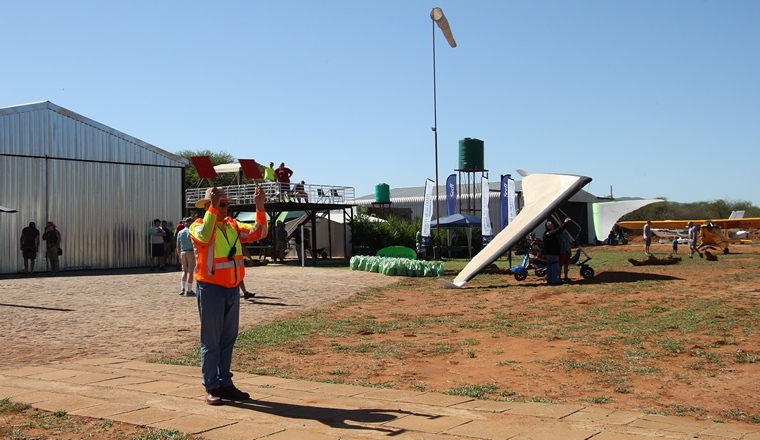 The Limpopo fly in was definitely one of the best that I have attended this year and my only regret is that I have missed the previous couple of events. Many thanks to Nico and Martin for their hospitality and especially to the ladies for the delicious meals. Make a note now, the 2016 fly in will be held on the weekend 5 and 6 November.